​Liverpool travel to Southampton on Friday looking to either extend their lead at the top of the Premier League or reclaim top spot, depending on the result of Manchester City's clash with Cardiff on Wednesday. Jurgen Klopp's side beat Tottenham on Sunday thanks to Toby Alderweireld's own goal and the German boss will be hoping his team continue their good run and beat the Saints on their own patch. Southampton have had a revival since manager Ralph Hasenhüttl took over in December and have recorded some notable results at home, beating Arsenal, Tottenham and Everton. Saints fans will be eager to claim another scalp, as well as take another step towards safety with another win. Check out 90min's preview of the ​clash below. Southampton have a couple of long term absentees in the shape of Jannik Vestergaard and Michael Obafemi who are both out with muscular injuries. Striker Shane Long is also doubtful while midfielder Mario Lemina has returned to training and could be in contention for a place in the squad. Although fit, ​Danny Ings is ineligible to face his parent club, so the Saints will be without their top scorer on Friday night. Jurgen Klopp is sweating on the fitness of defender Virgil van Djik, who is a doubt for the visit to the south coast. Klopp will be hoping the Dutchman shakes off the knock he picked up in the win over ​Spurs at the weekend and starts at his previous club. ​Alex Oxlade-Chamberlain has stepped up his recovery in recent weeks but the visit to his former club comes a little too soon for the Englishman. Centre back Joe Gomez is still recovering from a broken ankle and is expected to return this month. Southampton Gunn; Valery, Bednarek, Yoshida, Bertrand; Højbjerg, Romeu; Ward-Prowse, Armstrong; Austin, Redmond. Liverpool Alisson; Alexander-Arnold, Matip, Van Djik, Robertson; Wijnaldum, Henderson, Milner; Salah, Firmino, Mane. There have been 109 games between these two sides with ​Liverpool clearly coming out on top with 54 wins. Southampton have a total of 30 wins against the Reds, with 25 ending all square. In their last five home games, Southampton have picked up ten points from a possible 15, which has kept them above the ​Premier League drop zone​. A loss to relegation rivals ​Cardiff City blemishes what would be a good home record since the turn of the year and this positive home form will be crucial in the run in to the end of the season. 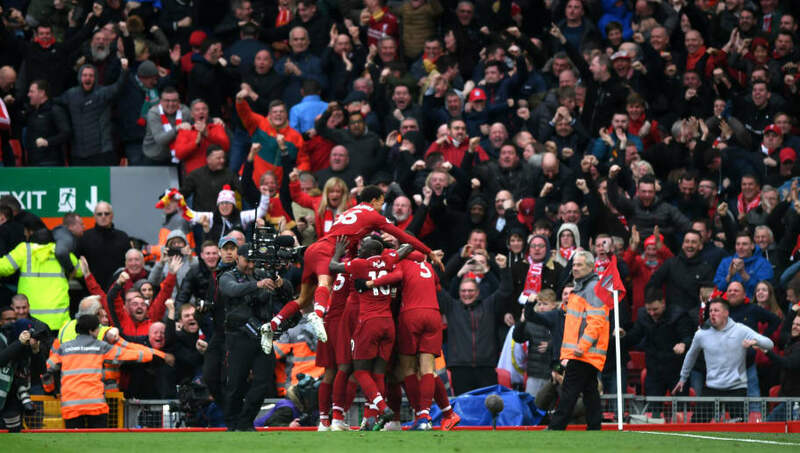 Liverpool have been churning out good result after good result recently, with away draws against bitter rivals ​Everton and ​Manchester United meaning the Reds have a return of 11 points from a possible 15 in their last five away games. Klopp will want his team to turn on the style in their remaining matches without compromising their defensive solidity as they chase down the title. Despite their upturn in form since the appointment of​ Ralph Hasenhüttl, Southampton face an uphill struggle to beat a Liverpool side who are charging towards the title. The Reds will be focused on winning this game and creating some breathing space between themselves and ​Manchester City. They have been playing well recently and have a potent attack, so should create plenty of chances. However, if they are not 100% focused, Southampton have shown that they are a dangerous side and should not be underestimated. They pushed Manchester United all the way at Old Trafford in February and have dispatched of both Spurs and ​Arsenal at home, so Klopp's men will have to have their wits about them to avoid a slip up on the south coast.